Creepy clown or crazy jester? 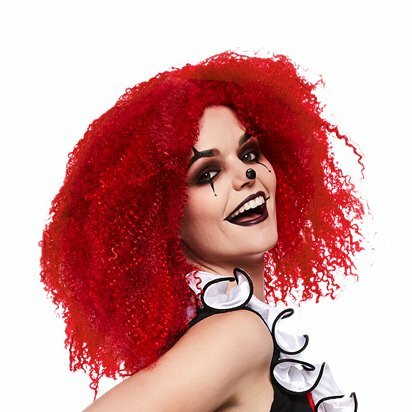 Whichever costume you go for, this crimped red wig is the perfect finishing touch. 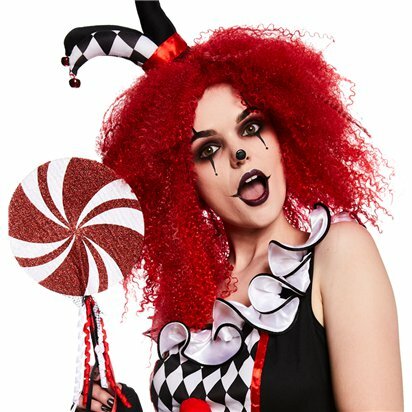 With masses of crimson curls, your Halloween costume will be the talk of the party! 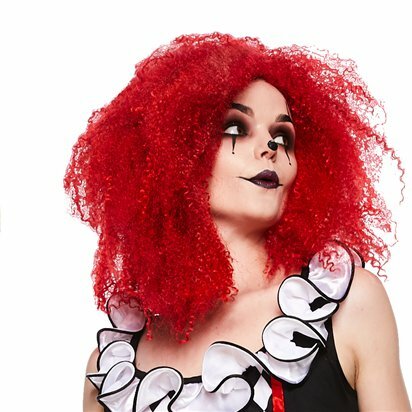 Please note that the wig in the image has been backcombed for a spooky effect (and the accessory is not included). Please note that this item is non-returnable due to hygiene reasons. This does not affect your statutory rights.